Happy New Year! My preparations for the 2019 season are well underway, and I am now back in Europe to meet up with Team Sunweb. We were recently in Berlin for the team presentation, and will soon head to Calpe for our first winter training camp. I will admit that before signing for a European team in 2016, I had never heard of Calpe. It will soon be my seventh visit to this popular Spanish training destination! Every cold country has snowbirds (typically retirees who escape the cold to live temporarily in warmer locations) and pro cyclists seeking warm climates for training, and I am quite familiar with the North American choice destinations for snowbirds and cyclists alike. One of the most famous winter getaways for North American cyclists is Tucson, Arizona. This is where I spent December training hard with a group of fellow Canadian riders. As pro cyclists, we race some of the biggest races of our careers, such as the World Championships and the Olympics with our national teams, despite spending most of our time training and competing with our trade teams. Establishing connections with National teammates can make a significant difference in cohesion and overall team performance in these races. It is also fun to spend time training with riders from one’s own country! The climate is hard to beat because Tucson is in the desert. It is sunny and warm every day, with very little rain. This fall was particularly bad for weather where I live in Canada, and after what felt like two months without sunlight, and hours spent freezing in rain and snow on the bike, the desert sun and warmth was pure bliss for training. Sometimes it is the contrasts in life that make you appreciate things the most. 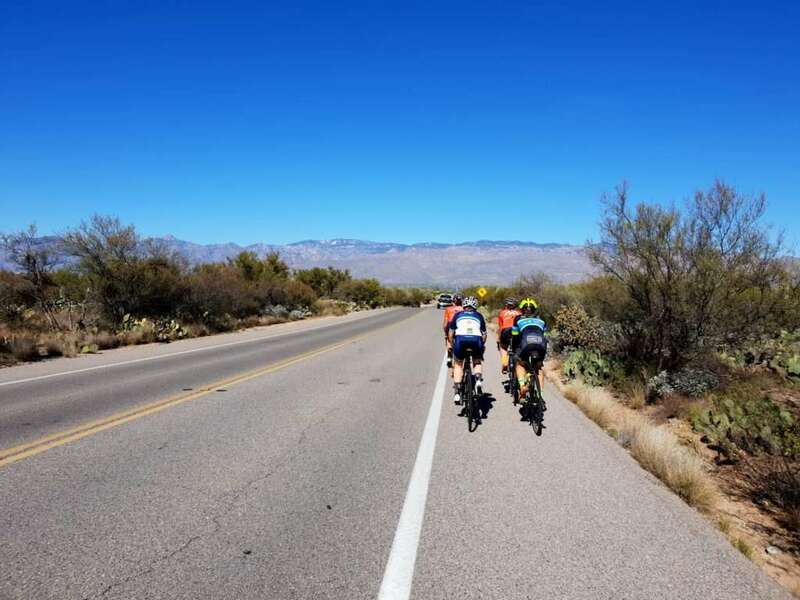 The most famous climb in Tucson is called Mount Lemmon, and it is 28 miles (45 kms) of pristine pavement that climbs at a steady 5% grade, winding through five different biomes, from desert at the bottom to alpine forest on the way to the top. The views from the ridgeline as you climb are spectacular. 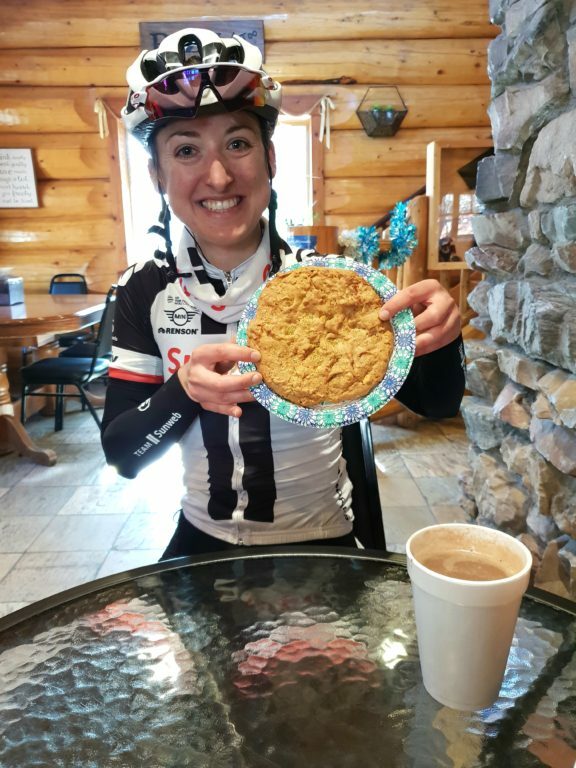 However, most cyclists aren’t climbing for the views, they climb for the cookie! There is a famous cookie cabin at the top, selling cookies as big as your face. The top is at a high elevation, so it is normal to find a bit of snow up there. We Canadians found it highly entertaining to see folks from Tucson drive up the mountain to pile snow on their roofs and then drive back down to the desert. Another huge advantage of Tucson is the bike infrastructure around the city. There are over 100 miles of shared use paths that connect to create “The Loop” around the city. Many sections run parallel to the river washes, totally separate from the noise and danger of traffic. Adequate bike infrastructure may be the norm in Europe, but it is still a work in progress in North America; Tucson is setting the bar higher with their efforts. Another advantage of Tucson is that there are always other cyclists to ride with. “The Shootout” is one of the most famous group rides in America, and it is a weekly test of fitness. Make the front group to the sprint, and you can earn bragging rights. I didn’t make it out to ride the Shootout this time around, but I still remember how much I suffered in the past to succeed in making that front group! There are also group rides that vary in distance and speed throughout the week where you can quickly find ride partners who will match your style. 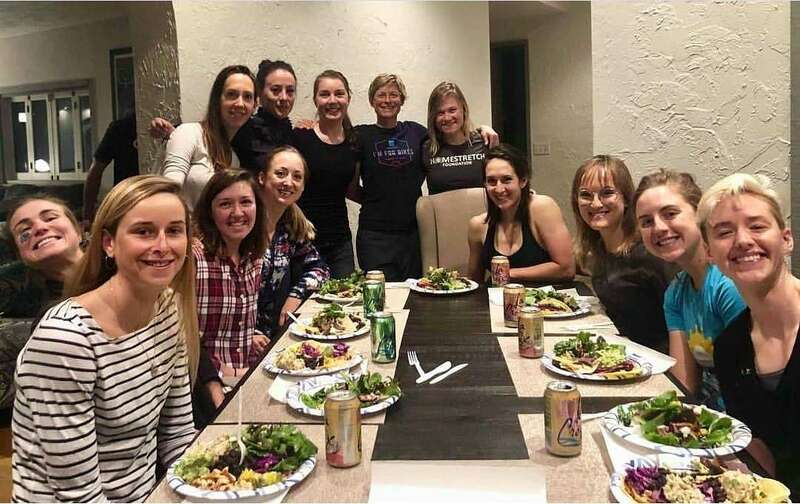 A new addition to Tucson is a fantastic non-profit organisation called Homestretch, founded by women’s cycling activist, Kathryn Bertine. Homestretch supports female endurance athletes by offering free temporary housing and the ideal training environment, along with other resources such as mentoring and career development opportunities, all aimed to support female endurance athletes who face financial and economic discrepancies. In exchange for housing and resources, riders give back by volunteering each week in the community. I was completely sold on Homestretch as a concept after being invited for a wonderful dinner from the current residents and after receiving a tour of the house. 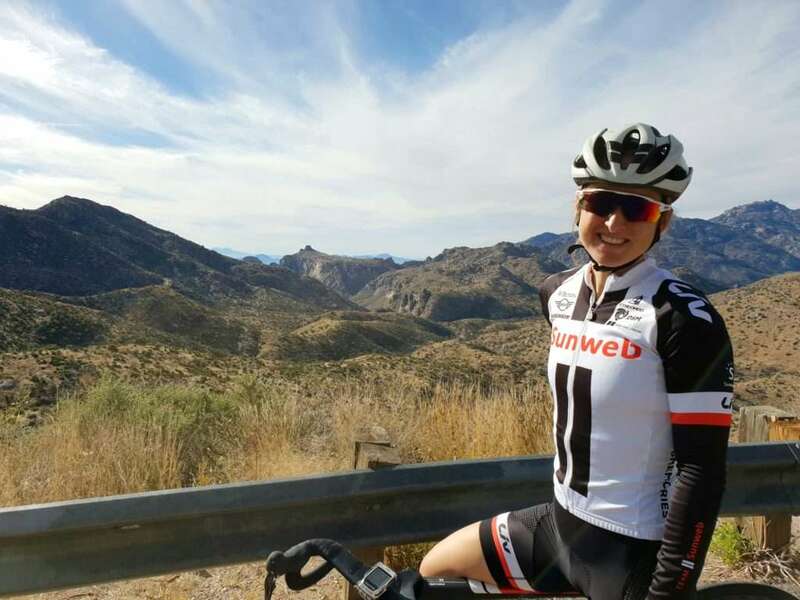 I stayed at Kathryn’s house during past winter training camps in Tucson, and have relied on countless host housing opportunities during my cycling career that allowed me to train in amazing places without huge financial cost. The generosity of friends and strangers never fails to amaze me in the cycling world! It is amazing to see how Kathryn has built the idea of host housing into a development model that tackles gender inequality by removing barriers and creating friendships and opportunities. There is progress being made on all fronts when it comes to gender equality and that gives me hope for the future. I enjoyed my visit to Tucson and gained a solid base heading into the New Year. Now it’s time to switch gears and to get reacquainted with the European roads and my Sunweb teammates! Thanks for reading my first blog, stay tuned for my next instalment, Leah Kirchmann!